Pieria is a region able to cater for all tastes and a four-season destination. 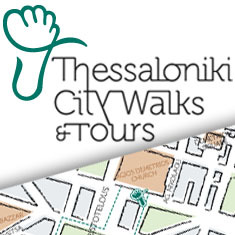 It is situated southwest of Thessaloniki and within a range of 100km you have the chance to visit not only archaeological sites of significant importance, long and sandy beaches, picturesque villages but you can also start trekking the sacred Olympus mountain or practice your favorite winter sport. Ancient Dion, the Holy City of Macedonia, became the official religious center of Macedonians and the place where they used to worship Zeus and the Olympian Gods. The city remained a thriving center of civilization for more than 1000 years from 5th century BC to the 5th century AC. It was Ancient Dion where Alexander the Great gathered together his troops to offer splendid sacrifices at the sanctuary of Olympian Zeus before his journey of conquest to Asia, and later he dedicated a magnificent bronze statue of Lissipus which depicted the 25 Companions (Hetairoi) who fell at the Battle of Granikos against the Persians. Today, you can visit an archaeological park of 150 hectares consisting of remains of fortified walls, urban blocks, sanctuaries, a Roman theatre, a stadium and many other findings from the excavation that initially started in 1928. Moreover, an Archaeological Museum in the village of Dion, 500m away from the entrance of the archaeological park houses not only findings from this site but also from other sites of archaeological interest in Pieria such as ancient Pydna. A very interesting and well-formed interactive virtual tour is offered from www.ancientdion.org. Pieria’s coastline, or Olympus Riviera as it is lately called, extends for over 70km, from the village of Methoni till Neoi Poroi. In this area you can find various wide and sandy beaches with warm and hospitable waters, hundreds of tourist accommodations from budget or family apartments to luxury five-star resorts, and picturesque small villages or cosmopolitan towns with vibrant nightlife. Some of the most famous beaches are Plaka Litohoro, Platamonas, Olympian Bay, Leptokarya and others. Mountain Olympus, the home of the Olympian Gods as it was described in Greek mythology, contains a unique ecosystem with more than 1700 varieties of plants and a wealth of animal and bird life. As a result Olympus was declared as a “National Park” in 1938 and as “International Area of outstanding environmental significance to the biosphere” in 1981. Every year the mountain attracts thousands of visitors from all over the world, mainly to its lengthy Alpine belt which is above 2500m with more than 10 peaks exceeding 2650m with the highest of them to be Mytikas (2918m). There are many hiking routes on Mountain Olympus, with the most famous to be those from the Enipeas Gorge (download map). Northwest of Olympus lie the Pieria Mountains, a mountain range of particular beauty and geomorphic quality, with traditional villages of their own particular architectural features such as Skoteina (Morna), Milies, Ritini, Riakia, Kolindros and Elatochori. 8km from Elatochori and 36km from Katerini, you can find the Elatochori Ski Resort at an altitude of 1450m with excellent infrastructure located in a beautiful nature scenery.